Carol Martin B.A., RMT graduated from the Sutherland Chan School of Massage Therapy in Toronto in 1982 and has practiced in this profession since then, first in Toronto, then on board the SS Royal Odyssey, then in Barrie, ON. Since 1985 she has practiced Cranial Sacral Therapy, trained by the Upledger Institute, Energy Healing since 1986, Ortho-Bionomy since 1995, and Spiral Dynamik Therapy since 2013. She is a teaching member of the International Network for Energy Healing (INEH) since 1989. Carol graduated from York University in 1975 with a B.A. in Liberal Studies. She also spent over 30 years studying various forms of dance as well as competing for Canada internationally in Track and Field from 1966 – 1976. 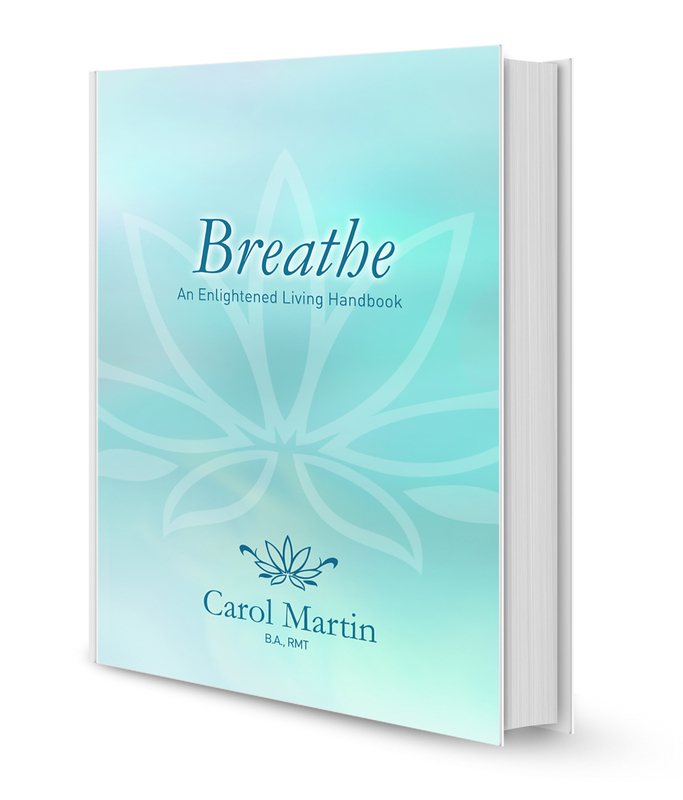 Her love of movement and personal growth led her to develop the innovative Enlightened Living Seminar (now simply called Breathe – a workshop with Carol Martin) which she has taught since 2000 and published her first book on the subject called Breathe – available now in print, eBook, and audio book format. She was born in Toronto in 1948 and currently resides and works in Barrie, ON, Canada. 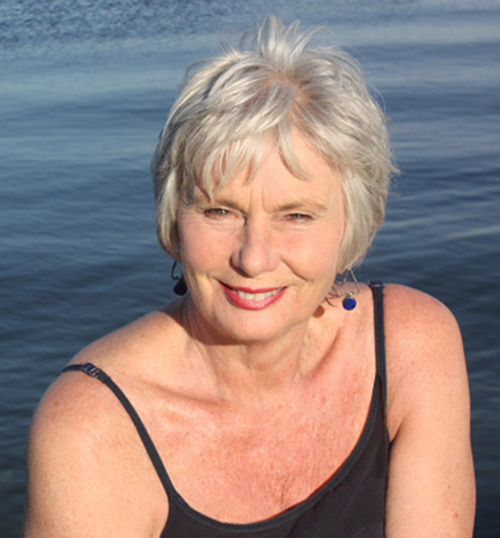 Carol is an intuitive energy and body worker whose healing touch is unerring and powerful. Her holistic approach is delivered with tender ease and kindness. I have found that she not only goes to the heart of the matter to bring relief but she also works with humour, depth and insight. Carol Martin is a true professional; dedicated, gifted, sensitive to the needs of her client. She is a veteran in therapeutic massage and a trailblazer in energetic body work. She brings a lifetime of skills and wisdom to her work. As a teacher and therapist she is second to none. On my very first visit for a ‘massage’, Carol asked if she could do some energy work. Since I had taken an introduction to Tai Chi course, I understood the basics of ‘chi’, or energy, running through our bodies and agreed to let her perform energy work. Carol sat me on a stool, performed energy work, without touching me, and guess what – my back pain was gone! After about six weeks of going to the chiropractor and still having pain, with one session of energy work the pain was gone. That was about 25 years ago. I still visit Carol. Her personality makes her seem more like a friend than a health practitioner. Plain or aromatic oils are used to release tension in the muscles and joints with Swedish massage and passive movements. Spiraldynamik Therapy is an added bonus. Unwinding tension in connective tissue (fascia) positively affects organs, joints, muscles and systems in the body from head to toe. A painless technique using preferred positioning to restore normal function in muscles, fascia and joints developed by a Canadian Osteopath Arthur Lincoln Pauls. Establishing good energy flow brings relief and healing to your body, mind, emotions and spirit. Experience the healing effects of true energy balance and flow. This workshop teaches three simple approaches that free up the breath using Posture & Movement, Speech Awareness, & Meditation. The Energy Healing course is a study in four parts taught worldwide, by teachers with the International Network of Energy Healing. This is an approach that assists flow, balance, and co-ordination of energy in the physical etheric body. Learn to work from a spiritual and scientific basis to help the body heal itself. All of life is comprised of the Seven Rays of Energy and they colour your Soul and entire Personality too. Every person is distinct and unique, with different inherent traits and tendencies that define our strengths and weaknesses. Understanding them in ourselves and others is empowering and helpful in relationships at home, at work, and in life generally. The allowing and full acceptance of your breath equals the allowing and full acceptance of your life. “Breath is never forced, it’s always ALLOWED. Force engages defenses. So the awareness, the allowing and the acceptance of the breath is step one in the process of supporting the full natural bridging and connection of mind and body through breath. Breathe, an Enlightened Living Handbook is available in print, eBook, and audiobook form so you can learn in the way that suits you the best. The audiobook features calming readings by the author herself, Carol Martin. Click Learn More to access audio clips from the book. Carol lives and practices in Barrie, Ontario. She can be reached by phone or email between 9am and 9pm. Get in touch by phone or email to make an appointment.